Jon Favreau's live-action The Lion King remake boasts an already star-studded cast featuring the likes of James Earl Jones (who reprises his role as Mufasa), Donald Glover (as Simba, the wannabe king of the jungle), and perhaps even Beyonce (who's been rumored to play Nala). And the most recent additions are another reason to celebrate. 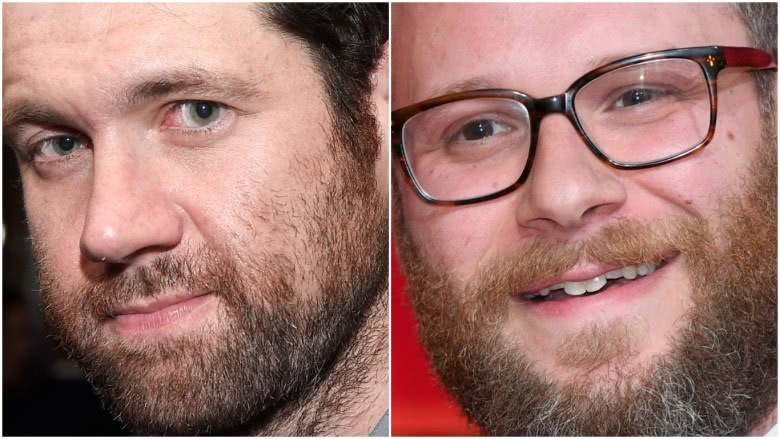 Funnymen Billy Eichner and Seth Rogen will join the cast as Timon and Pumbaa, the pair of pals who help raise young Simba after he leaves home. The Wrap reports that Rogen will voice the goofy warthog Pumbaa, with Eichner taking on the slightly high-strung but often silly meerkat Timon. Nathan Lane (Timon) and Ernie Sabella (Pumbaa) originated the roles in 1994's animated classic, and Lane even appeared on Eichner's sitcom series Difficult People. It seems like Eichner may have a direct line to his Pride Lands predecessor. Both Eichner and Rogen are said to be in final negotiations to climb aboard Favreau's film. The casting news comes shortly after Favreau announced a summer release date for the CGI/live-action hybrid flick. Previously, Favreau helmed Disney's The Jungle Book remake, a commercial and critical success lauded for its use of practical and digital effects. Something tells us his next venture with The Lion King will be just as great, particularly with familiar faces Eichner and Rogen now in the Disney mix. In the past, Favreau has commented on his approach to remaking such an iconic film that so many people adore. "People grew up with [The Lion King] in an age of video where they watched it over and over again. So, I have to really examine all of those plot points," Favreau told Entertainment Weekly. "Also, the myths are very strong in it, so you're hitting something even deeper than the movie sometimes. What I'm trying to do is honor what was there [since] there are certain expectations people have." Here's to hoping the film does just that. Fans can see Eichner and Rogen as the warthog-meerkat team when The Lion King is released on July 19, 2019. While we wait, take a look back on some of the best Disney films ever made.